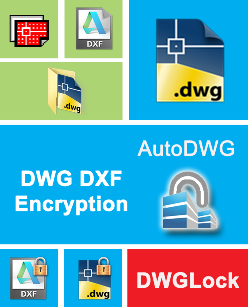 AutoDWG DWGLock, safer than ever! 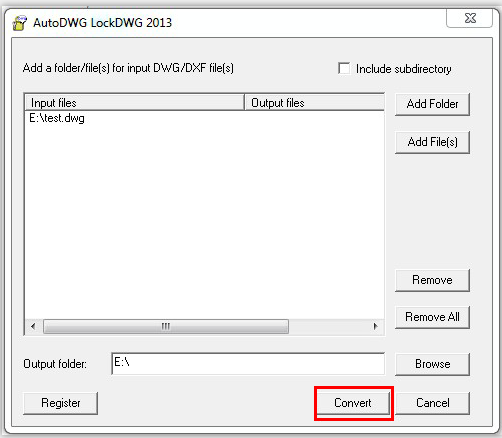 DWGLock is a powerful and fast DWG tool, protecting drawing file from being modified or copied. It is a stand-alone application requiring no AutoCAD. Now you can protect your works with this DWGLock software, the entities in the send out drawings can NOT be copied nor changed. However, recipients can open up the drawing, add lines and markups. This is an ideal solution for the collaboration needs and contractors. This tool is standalone and runs completely without Autodesk products. This application enables you to select multiple AutoCAD drawing file (DWG/DXF) and even complete folder to convert in one go. This program is simple, quick and easy using. Add a file, set the path and click to convert. The latest version of this DWGLock 2018 has been released recently. 1. What is the most important thing before using this program? Remember to keep a copy of your design, the encrypted drawing CANNOT be unlocked anyway. Step 1: Please double click the desktop shortcut to open the program. Step 3: Set the output folder for the locked file. 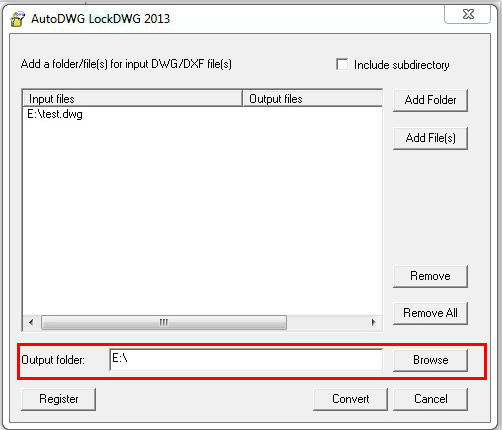 DWGLock is a powerful and fast DWG tool, protecting drawing file from being modified or copied. 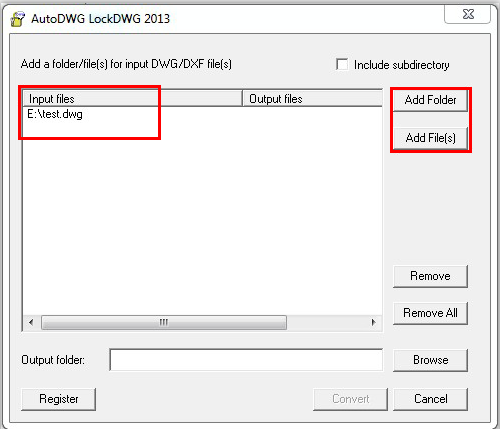 Does the AutoDWG DWGLock watermark disappear once the software is registered? Why the locked dwg lost some entities?